A former hospital complex is set to be redeveloped. Photos by Burl Rolett. 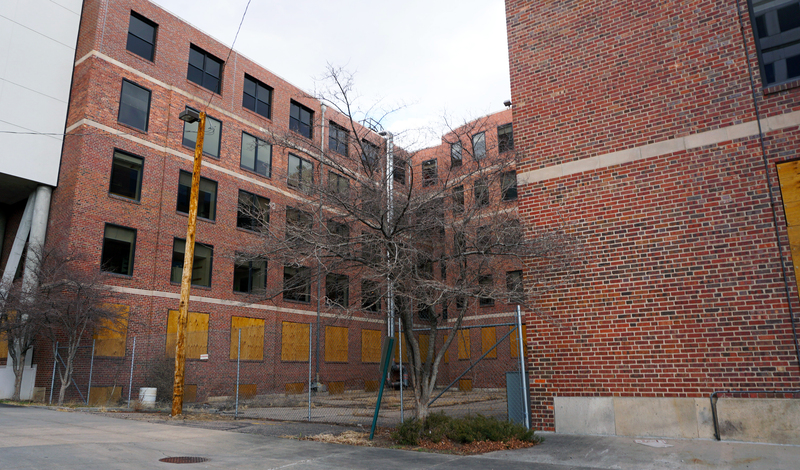 With a $30 million land deal finally closed, one of Denver’s biggest redevelopment projects will be underway in a matter of months. 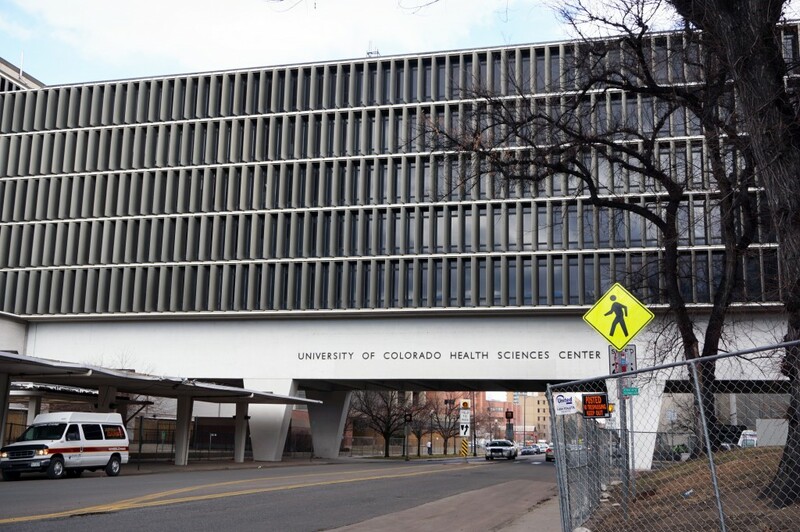 Continuum Partners plans to begin demolition at the former University of Colorado hospital at 9th Avenue and Colorado Boulevard in the next month. Construction could start this summer on the first phase of a $400 million redevelopment. The Denver-based developer closed on the sprawling 26-acre tract on Jan. 30, Continuum Development Director Frank Cannon said at an event hosted by CREW Denver on Tuesday. Demolition will continue across the acre site as the first waves of construction begin, Continuum Development Manager Jenny Robinson said. “Buildings will be coming up as buildings are coming down,” she said. The first phase will include three new eight- to 10-story towers at the site’s northwest corner near Colorado Boulevard and 11th Avenue. Those three buildings will total 55,000 square feet of retail space with about 550 new apartments, Robinson said. The entire 26-acre development could include 375,000 square feet of office and retail space and more than 1,000 residences. Continuum has yet to finalize any commercial leases, but Robinson said Continuum plans to shy away from big-box retail. Cannon said apartments will likely lease at more than $2 per square foot per month but will be short of the rents he said some downtown apartments are pulling in. Robinson said the first tenants will move in sometime in 2017 if construction moves according to schedule. She did not have an estimate for how much the first phase alone will cost, but estimated the entire 26-acre redevelopment would cost about $400 million. Continuum will develop the project in joint venture with Los Angeles-based CIM Group. The project will be funded in part through tax-increment financing. Robinson said that Continuum has yet to take out any debt on the project but is in the market for lenders. Long-term plans for 9th and Colorado call for up to 1,100 residential units, 125,000 square feet of office space, 250,000 square feet of retail space and a hotel Continuum plans to build in the former Research Bridge spanning 9th Avenue. Continuum is planning to build the entire development over the course of about five years. 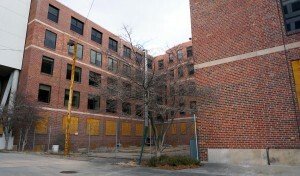 Most of the former Health Sciences Center’s buildings will be scrapped to make way for the mixed-use redevelopment, but Continuum plans to keep the Research Bridge, a 1,100-space parking lot near 11th and Colorado and the former nurses’ dormitory on 9th Avenue.